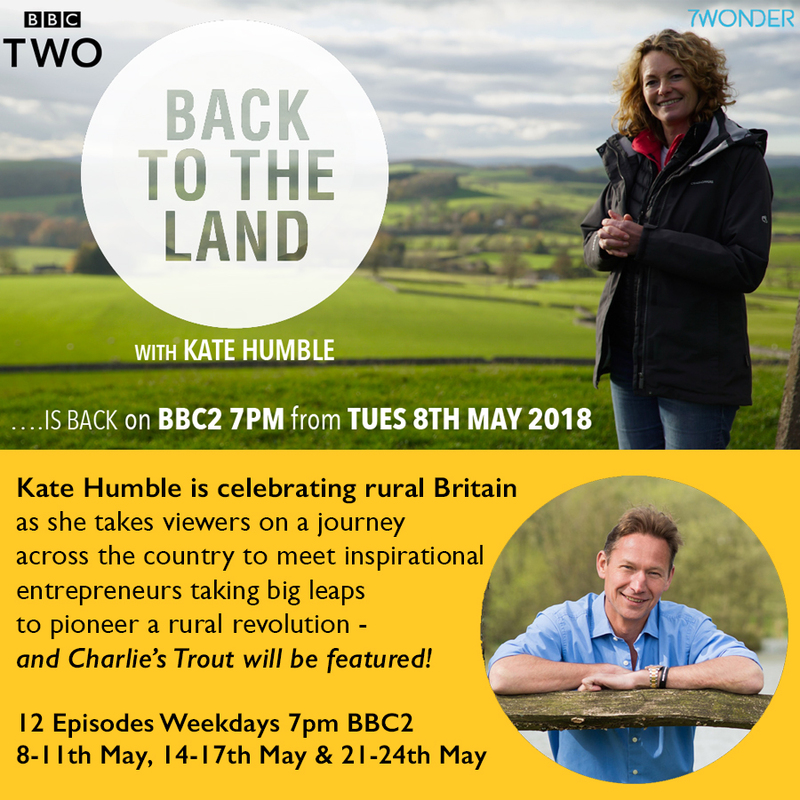 We're very excited to have appeared on Kate Humble's 'Back to the Land'! This enlightening series explores the challenges facing rural businesses and celebrates the successes of entrepreneurs all around the countryside. The BBC2 TV crew followed Charlie a few weeks ago, filming him at the riverside, at the smokery and at the wonderful Cowdray Park Farm Shop. With plenty of chat from Charlie, the show was both entertaining and insightful and a great opportunity to find out about the hard work and dedication which goes into all those delicious packs of Charlie's Smoked Trout.